Every hero needs his nemesis, and just two weeks after Marvel’s upcoming Daredevil series found its horned cowl hero in Boardwalk Empire’s Charlie Cox, the Netflix original series has landed what will presumably be its big baddie. 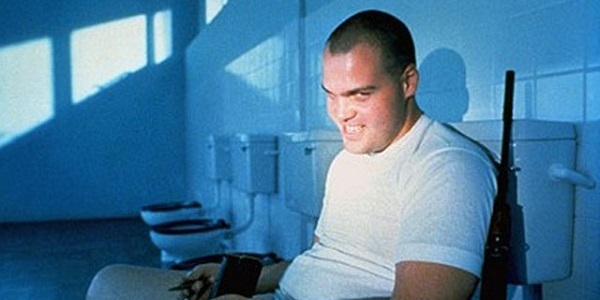 TV and movie veteran Vincent D’Onofrio (Law & Order: Criminal Content) has signed on to bust some skulls as criminal mastermind Wilson Fisk, better known to the world as Kingpin. I admit my gut reaction was a mental triple take, bypassing D’Onofrio’s more confident roles to remember only the parts where he was put-upon and bullied. How is bug-assed Edgar from Men in Black going to strike fear into New York City? And then, of course, my memory kicked in and it all became a little clearer. Daredevil is the most high-profile of Marvel’s four Netflix ventures, so it makes sense that they’re going with a well-established actor for its prime antagonist. It doesn’t take a comic nerd to realize what Fisk’s role will be in this show, but it's worth nothing that Marvel’s announcement officially describes him as “a powerful businessman whose interests in the future of Hell’s Kitchen will bring him into conflict with the blind attorney Matt Murdock and his alter ego Daredevil.” No big surprises there. There isn’t a whole lot to say about the Kingpin without knowing more about where executive producers Steven S. DeKnight (Spartacus) and Drew Goddard (Cabin in the Woods) are taking the story. It’s safe to assume he’ll be bald, will wear a white suit and will appear larger than life. But something tells me they’re going to replace his ever-present cigar with a candy cane or something equally asinine. The Brooklyn-born D’Onofrio is no pipsqueak, but he’s nowhere near as imposing as Michael Clarke Duncan was in the film version. The self-loathing cynic in me wants him to be a giant CGI character, to make a shot like this appear real. Goddard will also be scripting and directing at least the first episode of Daredevil, which will delve into the life of the Hell’s Kitchen lawyer, blinded as a boy and given powers much greater than sight. He delivers justice both in and out of the courtroom, usually with a quip or two. He's Daredevil, you know? D’Onofrio is in the middle of the most prolific period of his career. Having starred in five movies last year, including the Schwarzenegger/Stallone actioner Escape Plan, he’s currently filming Jurassic World for Colin Trevorrow and will soon be seen opposite Robert Downey Jr. in David Dobkin’s The Judge and with Liam Neeson in Jaume Collet-Serra’s action drama Run All Night. We can't wait to see what other characters will populate this universe, and we'll probably know soon, as Daredevil will presumably go into production at some point later this year, gearing up for its full-season streaming release on Netflix. Do you guys think D’Onofrio has what it takes to wreak havoc in Hell’s Kitchen? Let us know in the poll below. 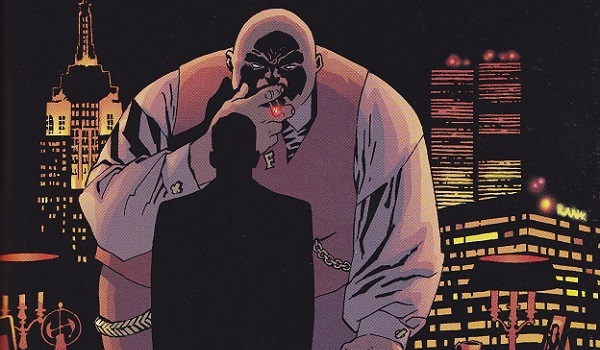 Do You Think Vincent D'Onofrio Is Right For Daredevil's Kingpin? No way. He's nowhere near as menacing as he needs to be. Absolutely. Hell's Kitchen will never be the same.